Miracle was one of these typical postwar independent labels from Chicago. A company founded by record producers Lee Egalnick and Lew Simpkins that, like so many, specialized in the Rhythm & Blues sound that boomed after the war. 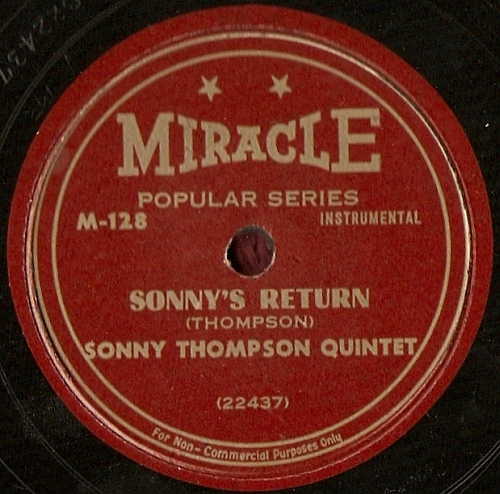 Miracle's greats were Sonny Thompson, Eddie Chamblee and Memphis Slim, but of course they produced more artists. Among them a crooner who got many recording opportunities with Miracle, but his output was of such a horrible quality that most of it remained unreleased. A surprising amount of quality material, unfortunately, also never made it to the record store and is still waiting to be discovered.